MUMBAI: Popular TV actress Avika Gor has shaped up to be a beautiful girl. We have seen her grow as a kid and as an actor, and she continues to spread her charm even now. Avika shot to fame with the hit Colors show Balika Vadhu. She was last seen on reality show Khatron Ke Khiladi. The talented actress grabbed eyeballs for her alleged affair with her Sasural Simar Ka co-star Manish Raisinghan for quite some time. The duo has often been spotted together at various events, and their social media pages have tons of pictures of them together. However, the two soon made it clear that there was no scope for any romantic involvement. According to them, they share a unique bond of friendship based on understanding, respect, honesty, and maturity. However, people still cannot forget her chemistry with Manish. 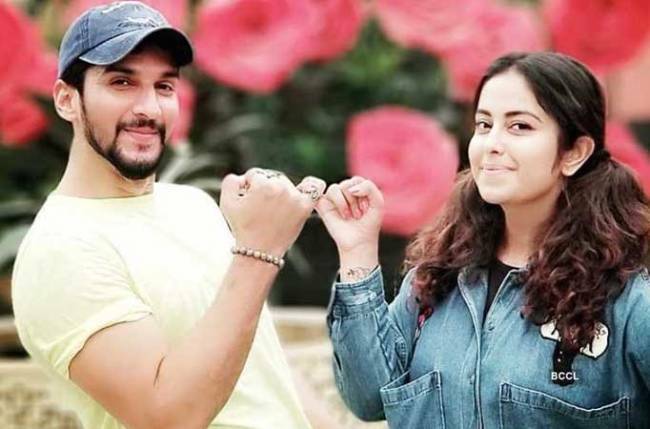 In most of Avika’s Instagram posts of the two together, they are often spotted posing with their pinky fingers entwined. A few hours ago, Avika shared yet another interesting picture with Manish, a throwback recalling their Sasural Simar Ka days. A throwback picture of hers is like a breath of fresh air! What say?